You Must complete the form below and provide all the indicated information to be registered for the clinic. I, Name Stated Above, being the parent or guardian of Camper Name Above ("Camper"), a minor, hereby agree to the following: a. 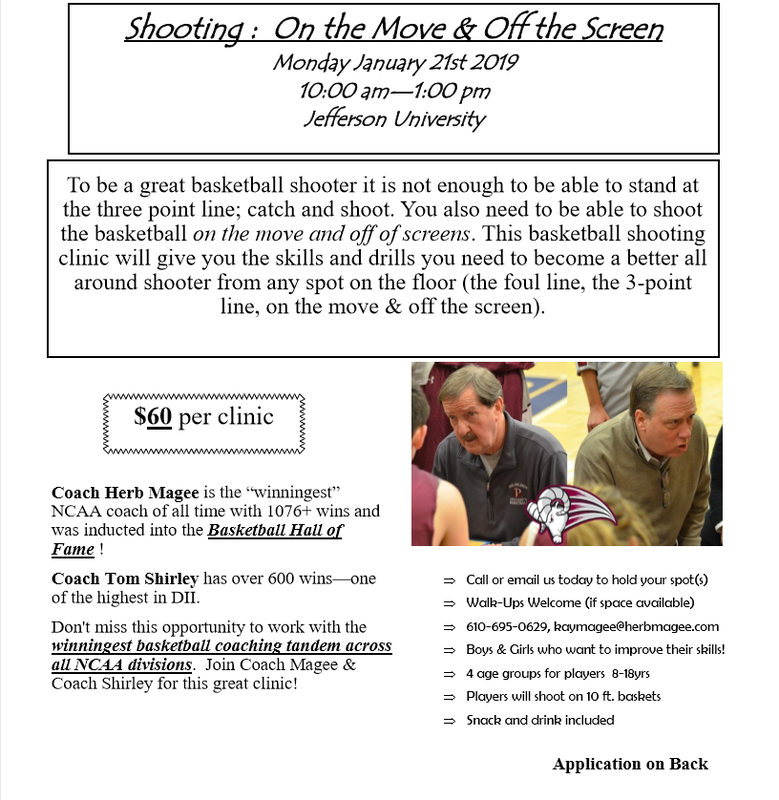 Camper is in good health, with no present medical or psychiatric conditions that would prevent attendance and full participation at a HERB MAGEE BASKETBALL, LLC Camp. b. Camper has health insurance. c. I understand that my child(ren) must abide by camp policies and the instructions of the camp staff. I agree that should my child be dismissed from camp no part of my tuition will be refunded. I understand that no reduction in tuition will be made for late arrival, early departure, vacations, illness or injury. d. I hereby release and hold HERB MAGEE BASKETBALL, LLC, Philadelphia University its shareholders, directors, officers, and employees harmless from any and all injuries, accidents, damages or losses that Camper may incur whether from natural or manmade causes, foreseeable or unforeseeable, expected or unexpected. e. I am aware that the engaging in recreational and sports activities at the camp may be a hazardous activity. Camper is voluntarily participating in this activity with knowledge of the danger involved and I hereby agree to accept and assume any and all risks of injury associated there with including, but not limited to, property damage, personal injury, bodily injury, or death. f. As consideration for being permitted to attend and participate in a HERB MAGEE BASKETBALL, LLC camp, I hereby agree that I, on behalf of myself and Camper, will not make a claim against, sue or attach the property of or make any other demand on HERB MAGEE BASKETBALL, LLC and facilities named Philadelphia University, St. Maximillian Kolbe Church and School, Great Valley School District and the Great Valley Basketball League its shareholders, directors, officers, and employees or any of their affiliated organizations for injury or damage resulting from negligence or gross negligence or other acts, howsoever caused, by any employee, agent, or contractor of HERB MAGEE BASKETBALL, LLC or any of their affiliated organizations as a result of Camper's attendance and participation at a HERB MAGEE BASKETBALL, LLC camp. 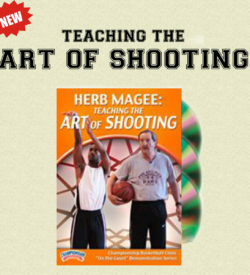 I hereby release HERB MAGEE BASKETBALL, LLC, its shareholders, directors, officers, and employees and any of their affiliated organizations from all actions, claims, or demands that I now have or may hereafter have for injury or damage resulting from attendance and participation at a HERB MAGEE BASKETBALL, LLC camp. g. I agree that HERB MAGEE BASKETBALL, LLC may render immediate emergency medical treatment and/or transport Camper to a medical care facility. 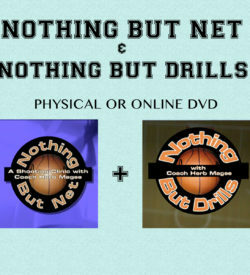 h. HERB MAGEE BASKETBALL, LLC have my permission for photographs and/or videos to be taken of Camper and HERB MAGEE BASKETBALL, LLC has the right to utilize such materials in brochures and other promotional materials.